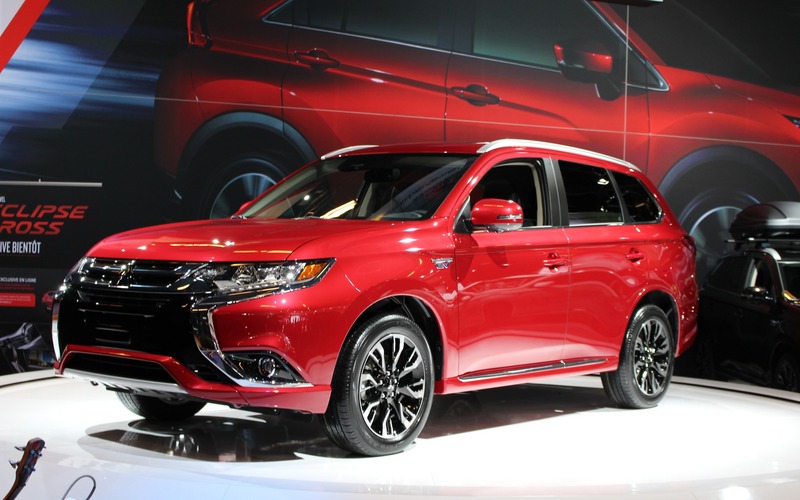 Long awaited and long promised, the Canadian production version of the Mitsubishi Outlander PHEV has finally arrived to the Montreal International Auto Show. This plug-in hybrid compact SUV features a naturally aspirated, 2.0L four-cylinder engine that delivers 119 horsepower and works in unison with two 80-horsepower electric motors. The 12-kWh lithium ion battery provides about 50 km of range in fully electric mode. Note that it boasts all-wheel drive and a towing capacity of 1500 pounds (680 kilograms). For the 75th time in history, Montreal is hosting an auto show. Yes, the 75th time: if we add up all the Auto Shows that have taken place in Montreal, since the first edition organized by auto industry professionals in 1914 until 2018, there have been 75 events in total. Spotlight on 2018 Mitsubishi Outlander PHEV: We're Going to Drive it!